Race and survive a night time ride on your performance motorbike through a dangerous and fast forest. How far into the forest of death can you survive? Denser the trees grow and faster you will ride on a hair raising test of skill. If you want to play 3D Deathrace games online you have come to the right place! GamesLoon adds new 3D Deathrace games every week. This is your game portal where you can find the biggest collection of free 3D Deathrace games online. 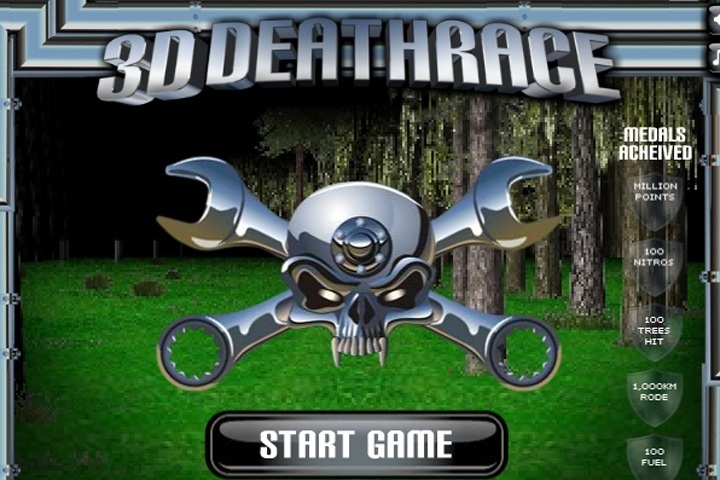 Do not forget to rate our 3D Deathrace free online games while playing!